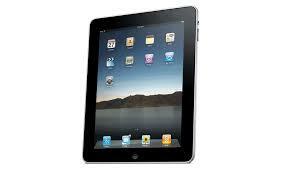 Ipad and Iphone Rental can be extremety useful for Events especially with optional cellular data. PayPal Credit Card Processing using Ipad or Iphone rental and connected swiper. Square Credit Card Processing using Ipad or Iphone rentaland connected swiper. EventBrite Ticket Sales and Registration using Ipad or Iphone rental built-in camera. Picatic Event Ticket Sales and Registration using Ipad or Iphone rental built0in camera. Auction Bidding using Ipad or Iphone rental browser or app and cellular data. GeoCaching Parties using Ipad or Iphone rental incldued GPS. Rental IPAD 2 USA with GPS, Wi-Fi. Optional Cellular Data (recommended if you don't have your own hotspot. Rental IPAD 4 RETINA DisplayUSA rental with GPS, Wi-Fi.